I recently ran into this issue whilst performing a Service Manager 2012 SP1 deployment for a customer. Cannot set availability on a health service that doesn’t exist. Bingo! I got a result. 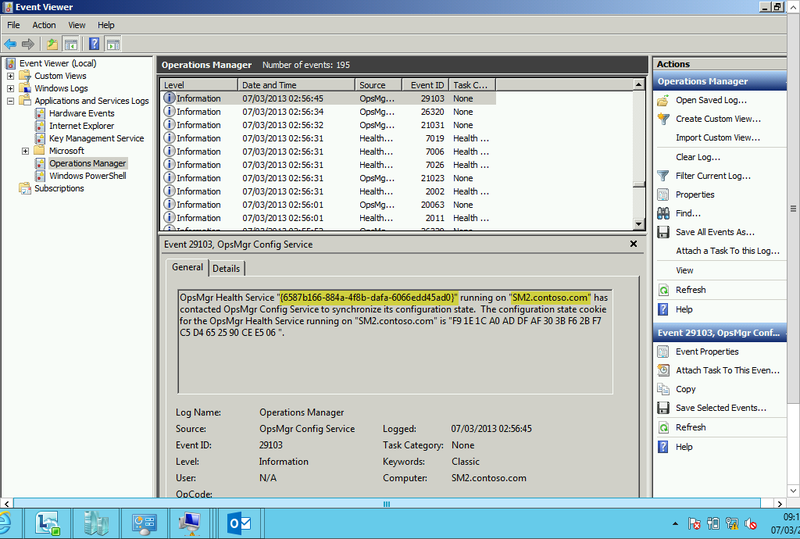 But hang on a moment……its has a different BaseManagedEntityID to that reported in the event log. So I thought I would check this against some of the other Management Servers. I just did a “select *” on the dbo.MT_HealthService table to get all the BaseManagedEntityIDs and checked these with the event logs on the Workflow Management Server and other Console Management Server. I found that the Workflow Management Server’s BaseManagedEntityID matched its entry in the database, but the second Console Management Server’s BaseManagedEntityID did not. 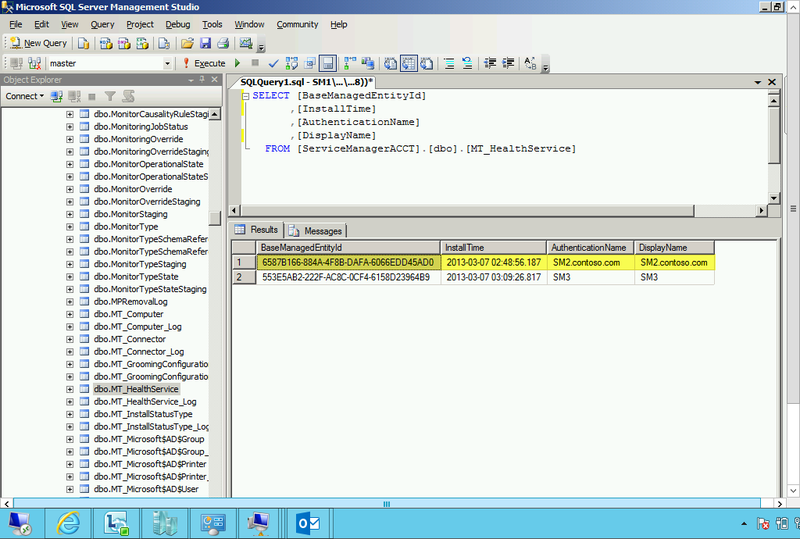 The second Console Management Server also had the errors mentioned previously in the event log. 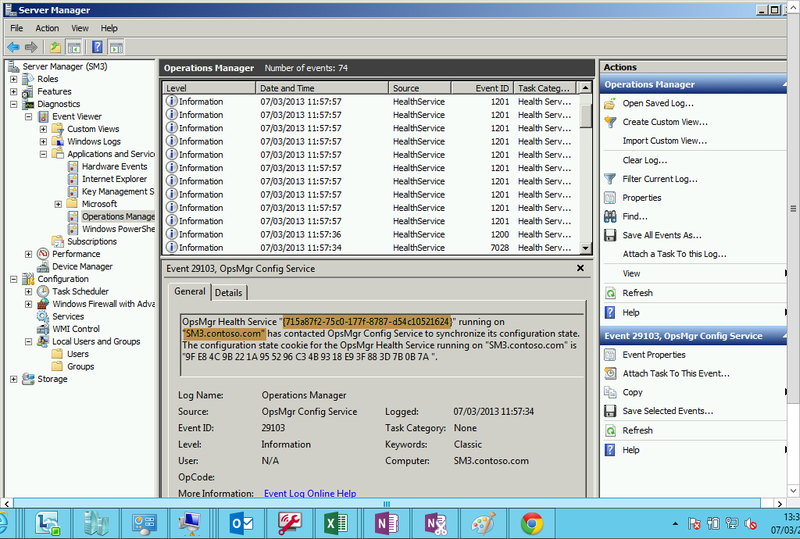 One thing I did notice in the dbo.MT_HealthService table was the the AuthenticationName and DisplayName of the Workflow Management Server was its FQDN, whilst for the two Console Management Servers these were set the the NetBIOS name. As you can see here, there is a key difference. The AuthenticationName and DisplayName for both the first and second Management Servers in the Management Group are the FQDN of the machine. So from this, we can see that somehow, an incorrect value is being entered in the database for any secondary Management Server. The only culprit I can see for this at this time is that installation routine is somehow doing this, and as a result, incorrect BaseManagedEntityIDs are being generated. 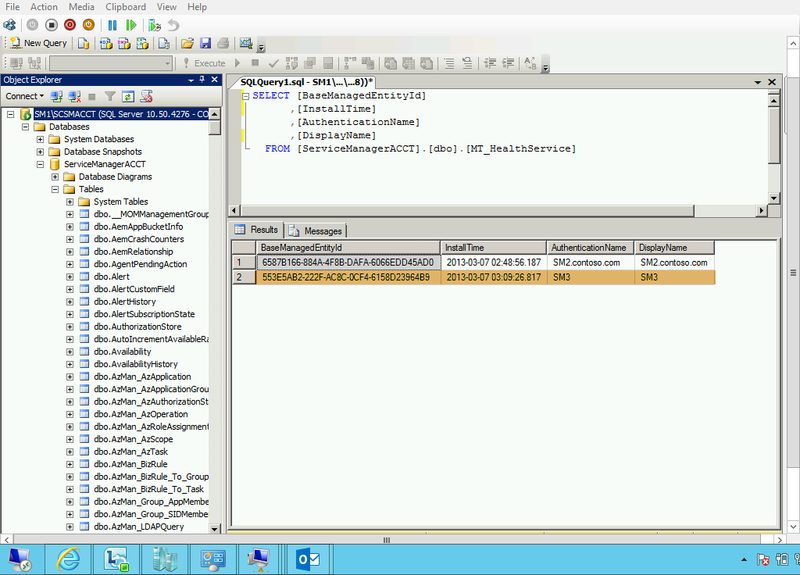 The only work around I can see at the moment is to perform a Service Manager 2012 RTM installation first, as this appears to insert the correct AuthenticationName and DisplayName into the database, and then upgrade to SP1. I have yet to try this, but will report on this when I have. But for now, one for Connect I think…………. ***UPDATE*** A work around is now available for this particular issue. This is available from Microsoft, but you must raise a PSS case in order to obtain the work around. 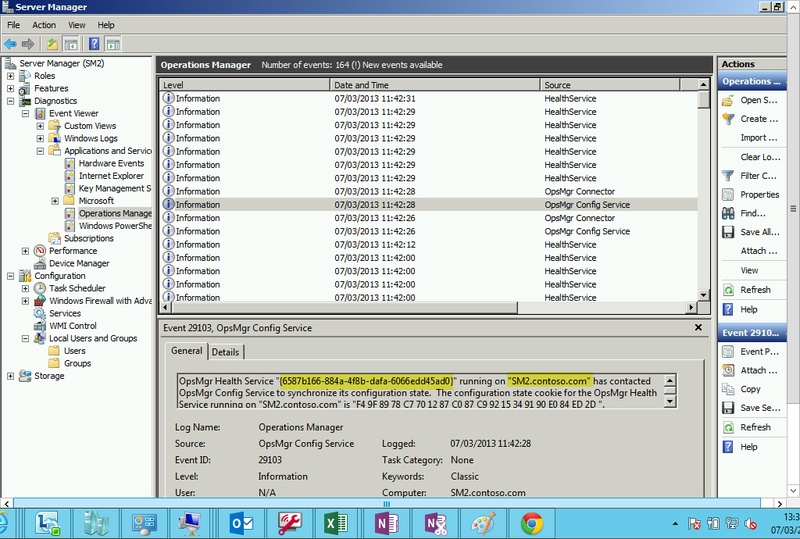 Essentially, the work around is a new SM.msi file which has had the custom actions fixed which were inserting the wrong AuthenticationName into the Service Manager database. Please note that you MUST obtain this before installing a second Management Server in a greenfield Service Manager 2012 SP1 environment. My sources tell me that Microsoft have confirmed this to be a bug, and will have a fix for this in the near future. It appears that the secondary server is still functioning from a console perspective. Can I leave it as is until they publish a fix or is it causing something detrimental to my environment? If I must fix it do I need to rebuild both the primary and secondary server? This will be a major undertaking as my primary has been up and configured for some time. 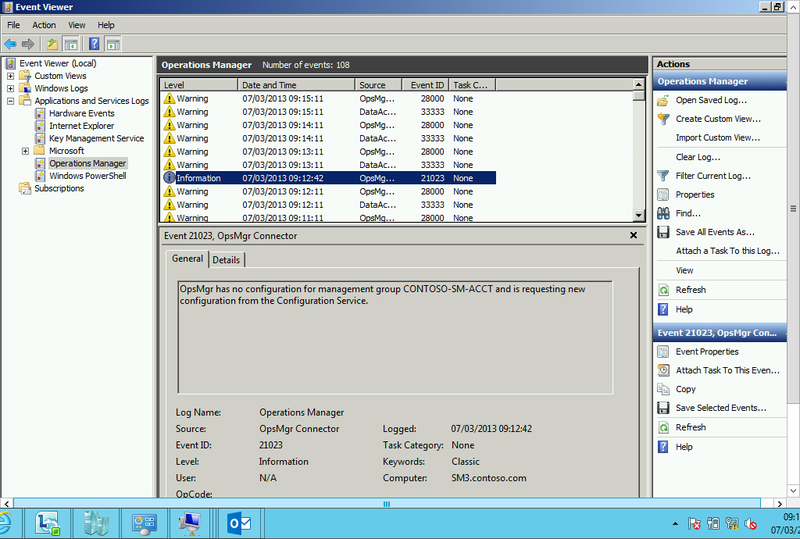 Previous SCSM Reports not rendering?